The resource-based view of the firm attributes superior firm performance to organizational resources that are valuable, rare, non-substitutable, and difficult to imitate. Aligned with this view, the authors contend that both information technology (IT) and knowledge management (KM) comprise critical organizational resources that contribute to superior firm performance. 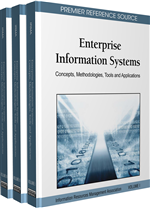 The authors also examine the relationship between IT and KM, and develop a new second-order variable – IT-KM competence – with IT capability and KM performance as its formative indicators. Thus, this chapter contributes not only by investigating the determinants of firm performance but also by broadening our understanding of the relationships among IT, KM, and firm performance.